Book Martin Lindstrom as a keynote speaker. Martin Lindstrom is a globally renowned expert in building future-proof brands, with a track-record of working with leading multinationals such as Coca-Cola, Red Bull and Nestlé. For more information on branding speaker Martin Lindstrom, contact VBQ Speakers founding agent Leo von Bülow-Quirk on leo@vbqspeakers.com or 0044 7833727090. 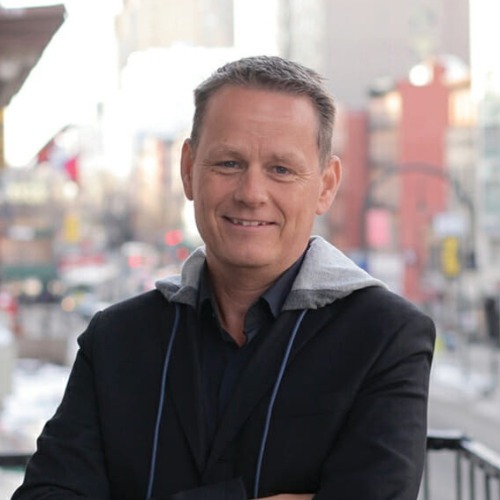 Martin Lindstrom is recognised as one of the world’s leading business, branding and culture transformation experts. His cutting-edge research in behavioural psychology and his New York Times-bestselling books are reshaping how organisations approach innovation, culture, and business transformation. Martin has received many accolades for his work. He has been included in TIME Magazine’s “Worlds 100 Most Influential People”, and has written a series of ground-breaking books that have been New York Times and Wall Street Journal best-sellers. These include Buyology: The Truth and Lies About Why We Buy, BRANDsense and Brandwashed. Buyology was voted “pick of the year” by USA Today. The Wall Street Journal described BRANDsense as “…one of the five best marketing books ever published.” His most recent book, SMALL DATA – The Tiny Clues That Uncover Huge Trends, was published in 2016. Martin has built a reputation as being a leading thinker in the fields of consumer psychology, marketing, brands, and neuro-scientific research. He has developed a unique method to understand consumers’ deepest desires and transform this knowledge into breakthrough products, brands or retail experiences. Thinkers50 ranked Martin number 18 amongst the world’s most influential management thinkers in 2015. He is also the producer and anchor of NBC’s show, ‘Main Street Makeover’ on TODAY. He writes columns for Fast Company and TIME Magazine, and is featured regularly in publications such as the Wall Street Journal, New York Times, The Economist, Newsweek, Bloomberg, Businessweek, The Washington Post, USA Today, and many other media channels around the world. Martin is one of the world's most prolific branding and innovation experts. He is the author of more than 1,000 articles on branding - published in over 100 countries around the world - and has presented his ideas to over seven million people in sixty countries. From neuroscience and psychology to trend-spotting in consumer habits, his speeches are packed with practical (often counter-intuitive) insights and compelling anecdotes on how we can better transform our businesses and engage with our customers.